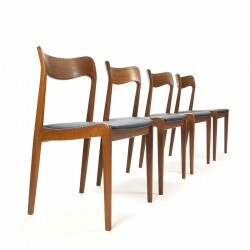 Danish teak set of 4 dining table chairs. 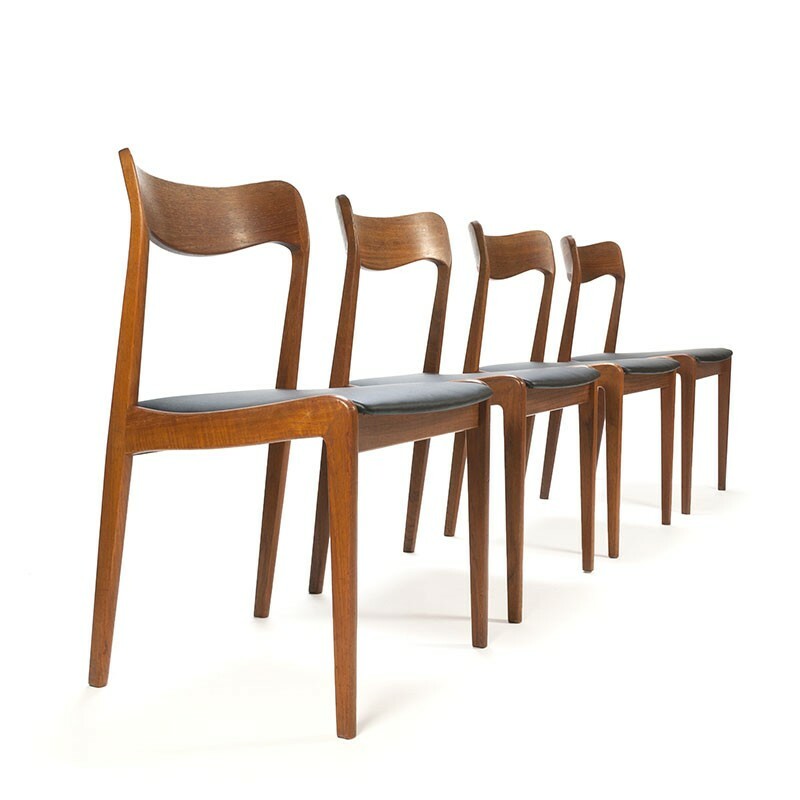 The chairs are made in the sixties and made of solid teak. The design is derived from model No. 71 by N.O. Møller. The set is furnished with black leather upholstery, this is new. The condition is good considering the age, some minor traces of use, see details. The dimensions are 50 cm wide, 44.5 cm seat height and 78 cm high.